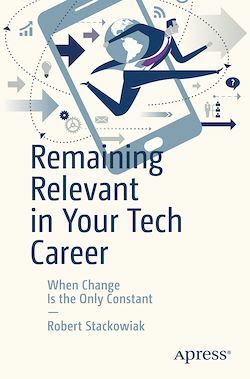 Remain relevant in the face of constant change during your career in technology. This book shows you how to proactively plan in anticipation of future changes. Many people find technology careers enticing because of the number of job opportunities, the high compensation, or simply because of fascination with technology itself. Once in those careers, however, there are many challenges to remaining relevant and at one’s peak in the face of constantly shifting competitive and technology landscapes. Incumbents face a constant stream of new skills to learn that are often already known by more recent graduates entering the market at lower compensation rates. There also are time-to-market challenges and the need to keep up with the introduction of automation. This book was written based on the author’s experience gained over 40 years working with and in technology-related fields and companies. It provides practical guidance on remaining relevant as changes are expected to occur in technology at ever faster rates in coming decades.